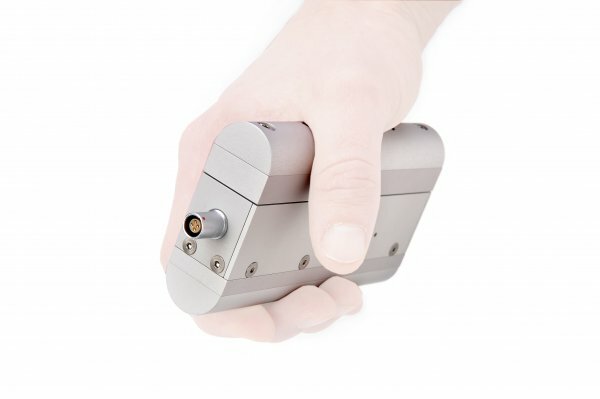 PGM is a force sensor proving to be an indispensable tool for the study of subjects gripping functions. 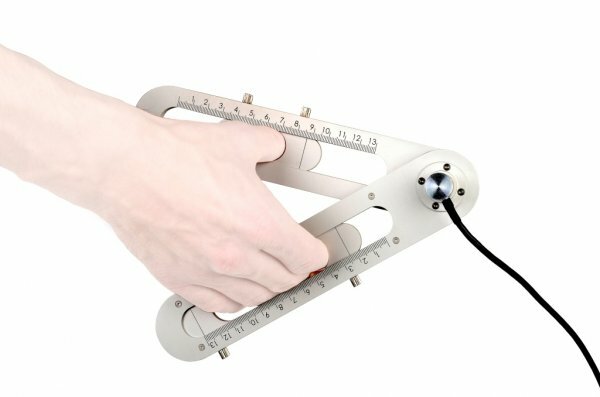 It allows measuring the grip tightening effort between the palm of a hand and its fingers during the grasping task. It is also an ergonomic sensor; this is why it can be used with healthy as well as motor disable subjects, whatever measuring keen or heavy grip tightening effort. 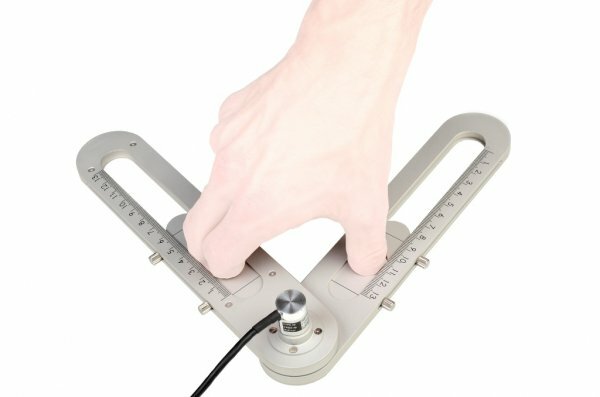 PPM allows measuring the fingers joint amplitude between the fingers and the thumb during gripping task and/or clamping effort. 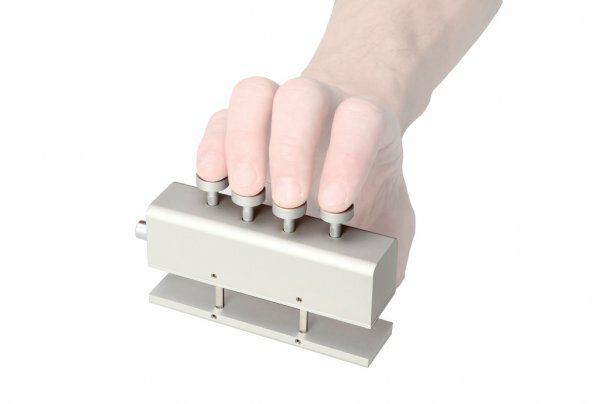 This grip sensor indispensable for the study of the gripping task is used with healthy as well as motor disable subjects. 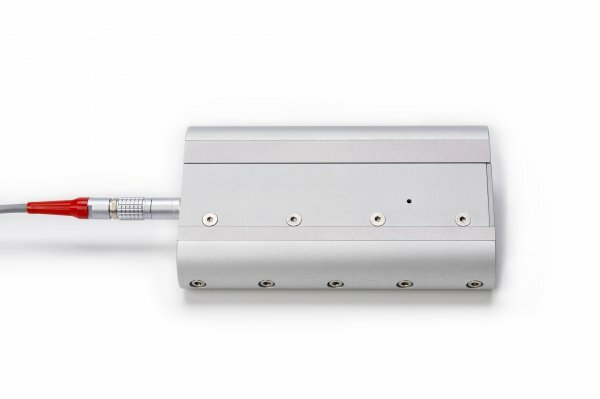 FFM is both a force-torque sensor and a displacement sensor. It allows the force-displacement study of finger motion one after the other or altogether. 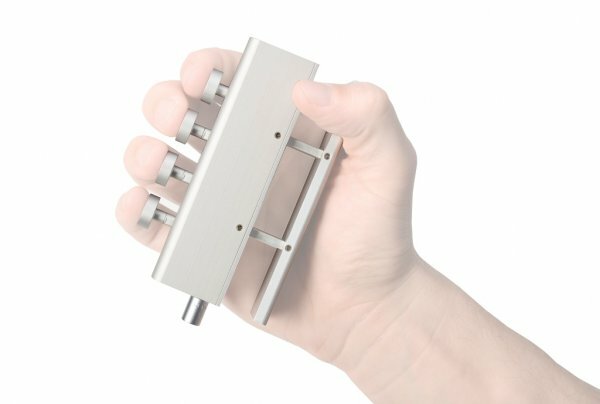 This diagnosis tool integrates a biofeedback in real time which provides accurate diagnosis of fingers force and flexion.